What a great event! 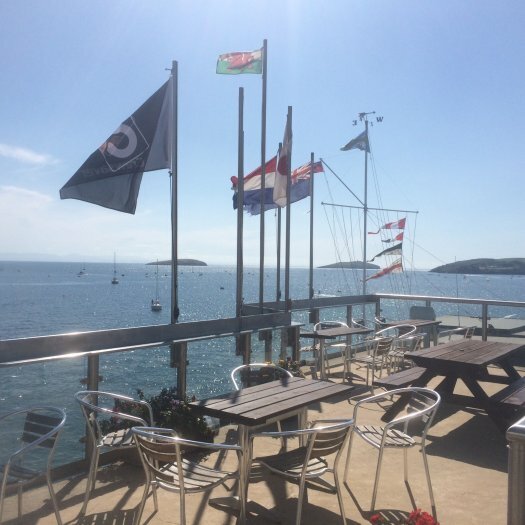 The idea to run the 2015 Mirror National Championships alongside Abersoch Mirror Week was judged to be a great success, with 86 boats on the water, 43 in both fleets. 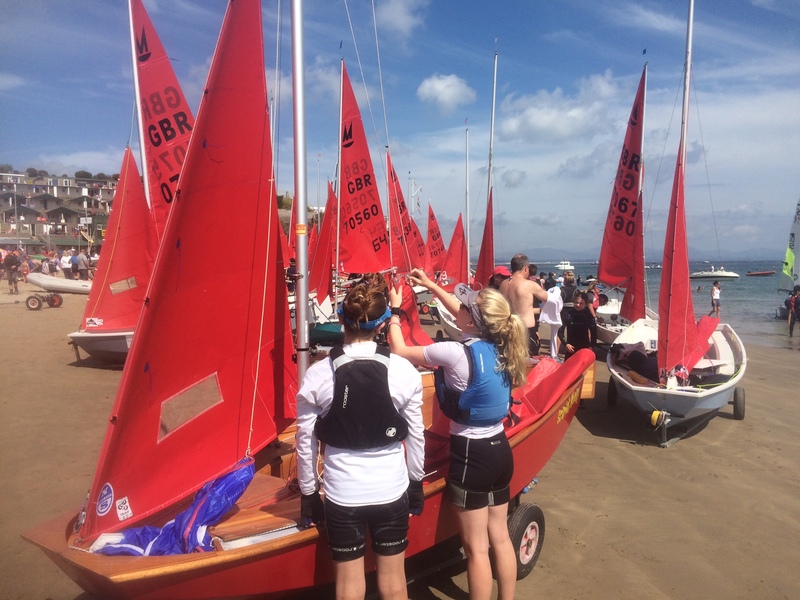 Mirror Week is a great institution that has so often been the first event for many top sailors from the North West. 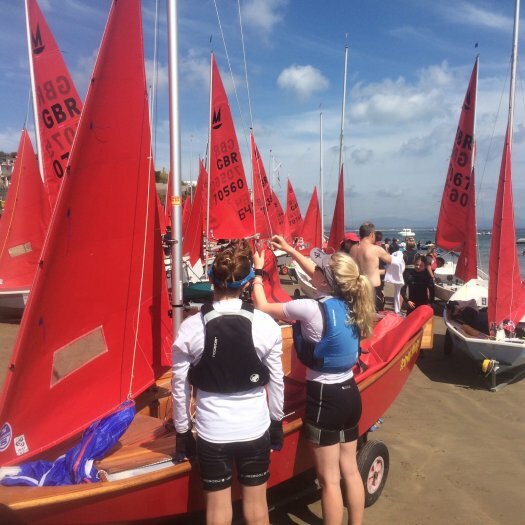 and seeing Mike & Katie Budd and Craig & Gabriella Burlton, with a host of National and World Championships between them, was a great example of what a great little boat the Mirror is for introducing children into sailing and racing. 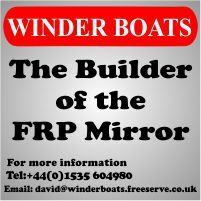 After the frustrations of 'Windy Wednesday' the Mirror Fleet had a long day on the water to catch up with the programme. 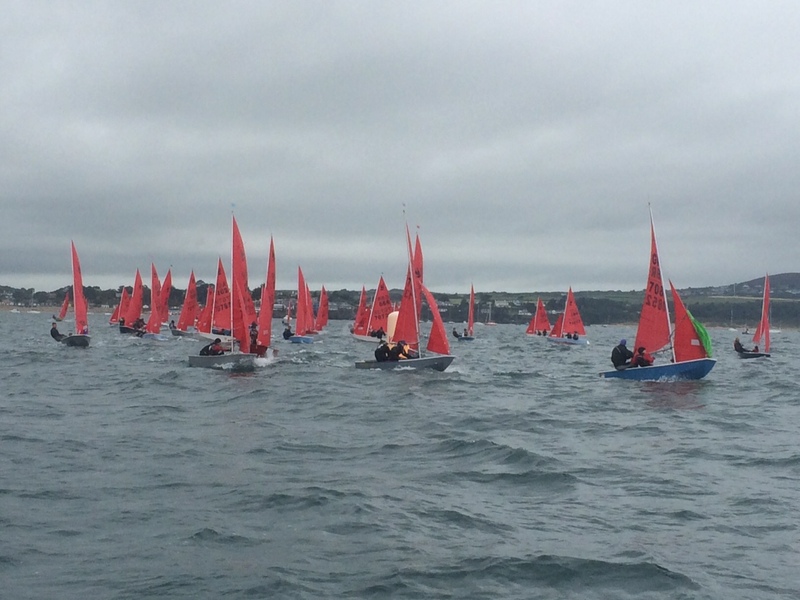 A steady Southerly 10 to 15 kts breeze, in warm but largely overcast conditions, was ideal to crack in 4 quick races to claw back those missed earlier in the week. What a difference a day makes. Having had 3 days of glorious sunshine, the forecast for Day Four was unfortunately accurate - rain, a force 5 south easterly wind and a substantial southerly swell onto the beach. Launching off the beach through the breakers was tricky, and the swell on the race course made for exciting sailing. Déjà vu - well, almost, this time it's a three hour postponement. 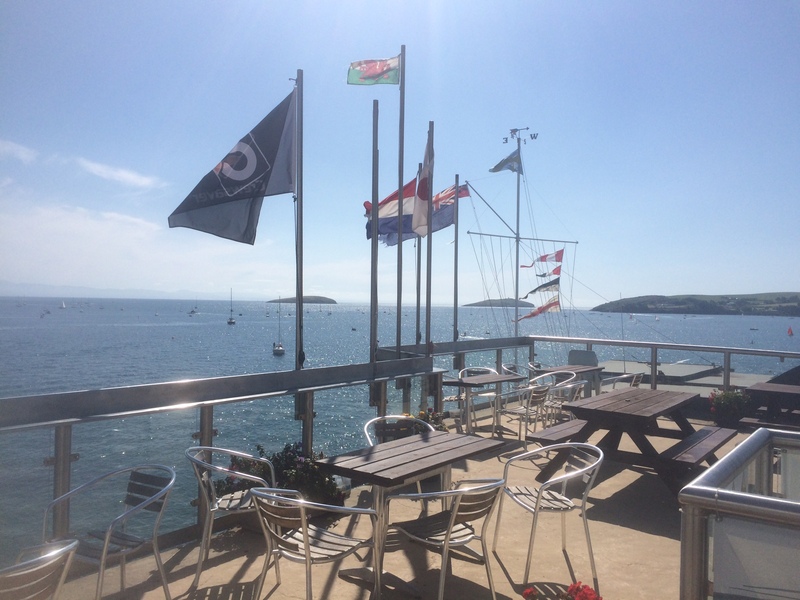 Abersoch Sailing School are giving a discount off doughnut rides, paddleboarding,..... to the Mirror sailors. 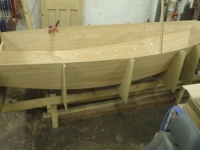 Big risk of sunburn, sunstroke & heat exhaustion. The day started with a two hour postponement due to lack of wind. Weather hot and sunny, so a good chance to relax on the beach and go for a swim. This was followed by racing being abandoned for the day.